Not a lot of new lows, but lots of near all time lows in WinGameStore's Codemasters Sale. Good prices on F1 2018, Grid 2 Reloaded, and more. Today WinGameStore launching a Warner Bros. sale with solid discounts on Middle-Earth titles, F.E.A.R. titles, and Batman titles. WinGameStore is running a week-long sale on titles from 2K Games. Find cheap Steam keys for Civilization VI, BioShock Infinite, Borderlands series and more. While no historic low, discounts are up to 80% off and are just shy of lowest ever by a few percentage points. New lows on Battleborn, the XCOM Complete pack, and more in the WinGameStore's 2K/Rockstar Games Sale. Summer sale pricing for 2K Game titles and Rockstar Game titles. Paradox Interactive discounts at WinGameStore this weekend. Battletech $27.99, Cities in Motion $$4.99, Steel Division Normandy 44 $13.19 and more. Few new lows, but all in the 50-75% discounts. Telltale Games are on the cheap now through Sunday at WinGameStore. New lows on Batman Telltale, Minecraft Story Mode Season 2, Marvel's Guardians of the Galaxy The Telltale Series, and more. 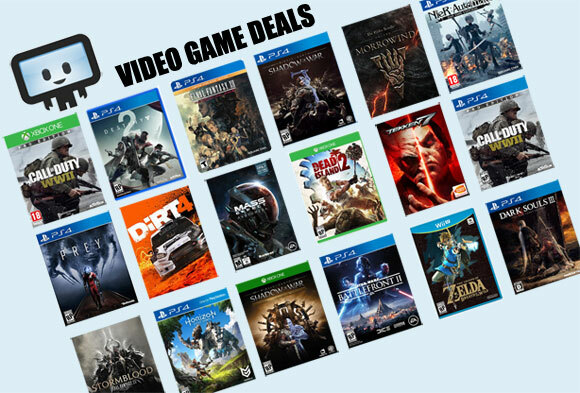 Plenty of other notable Telltale titles at good prices like The Walking Dead franchise, Tales from the Borderlands, Wolf Among Us, and Game of Thrones. Konami PC Digital titles on sale at WinGameStore. Choose from nine titles at up to 75% off, with the Castlevania and Metal Gear series. WinGameStore is running yet another weekend filled with Ubisoft deals. You'll find For Honor, Far Cry series, Heroes of Might and Magic along with Rayman titles. No new lows, but if you want to avoid paying full price on any of these titles this is the easy way to go. (For comparison, these Ubisoft titles are still significantly cheaper at WinGameStore vs the Winter Sale at Humble Store). New lows on Assassin's Creed Syndicate Gold, Might & Magic Heros VII Complete, and more in the WinGameStore's Ubisoft titles sale. Discounts valid only through Monday, the 29th. Today WinGameStore launched their "Fall Sale" with probably over 100 PC games on sale. The top discounts seen today include Sid Meier's Civilization V: Complete Edition for $9.99 (80% off) and new low Samorost 3 for only $5.99 (70% off). The sale will run through October 24th with new deals expected to pop up every other day, so it'll be worth revisiting through its expiration date. So many Halloween PC gaming sales going on. A new one popped up today - the Great Pumpkin sale at the WinGameStore. Fairly large with well over 100 titles on sale. A few standouts includes Stellaris and a new low on Ancient Space.